Across the globe, there are non-profit organizations that are dedicated to conservation. Powered by selfless individuals who are dedicated to the cause nearest and dearest to their hearts, there are shining stars within the constellation of people who work hard to make a difference in this troubled world. Be it the preservation of endangered flora and fauna, to keeping native languages, cultures, music and the arts alive, each person is an essential cog in the wheel of conservation. Belize is blessed with many such organizations, and although it takes a collective group to accomplish the many challenges before them, often there are those who inspire others to share the same commitment. In this monthly series, we spotlight one of these outstanding individuals. Captive-bred Orange Breasted Falcons on their way to wild release. 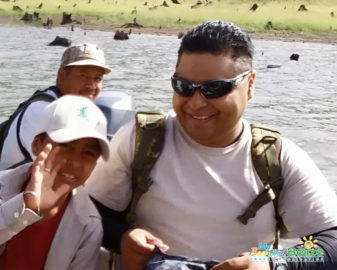 In 2008 Roni not only became a certified Tour Guide but gained a deeper knowledge of birds through an Audubon Advanced Bird Ecology course in Massachusetts, USA. 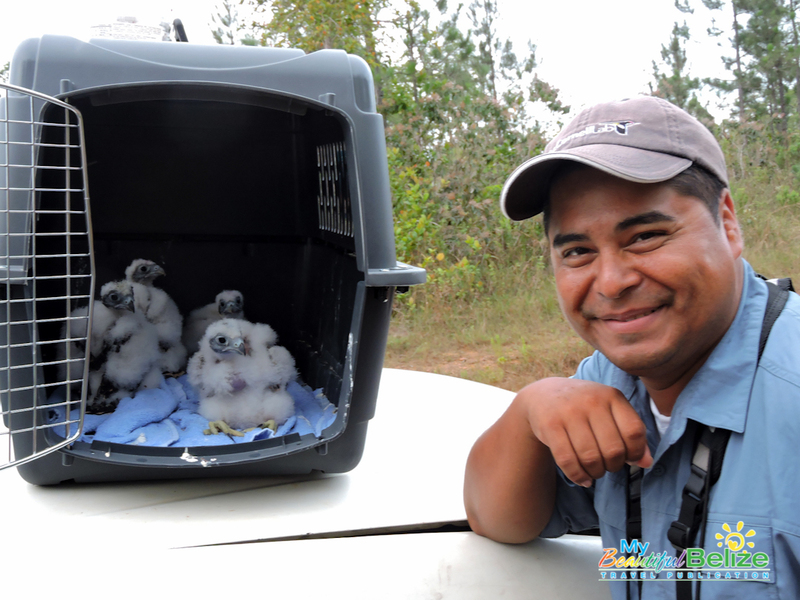 By 2009, Roni became Blancaneaux’s first Conservation Officer, a first for Belize! His position allowed him to work along with many different researchers and conservation NGOs who shared his passion for birds, wildlife, fauna, and conservation. Over the years, he volunteered in research and conservation projects involving rare species such as Orange-breasted Falcons with The Peregrine Fund, Solitary Eagles and Stygian Owls with the Belize Raptor Research Institute and Scarlet Macaws. 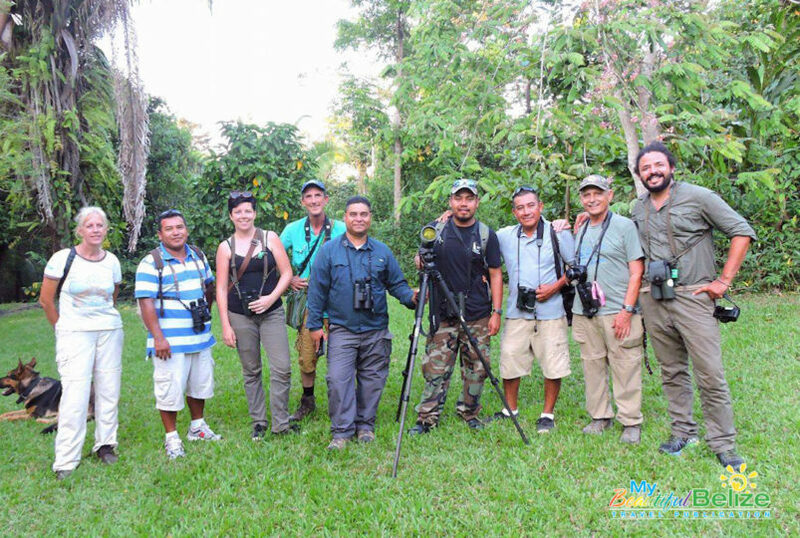 While monitoring Scarlet Macaws in the Chiquibul Forest, and discovering that almost 90% of the parrots were being poached, Roni along with Charles Britt founded the Scarlet Six Biomonitoring Team. Over the years the non-profit program (NGO), which collaborates with Friends for Conservation and Development, has experienced great success in reducing illegal poaching. The Scarlet Six Biomonitoring Team has evolved into the Belize Bird Conservancy and now works with many other NGOs around Belize, not only helping to protect Scarlet Macaws but also Raptors and Yellow-headed Parrots. 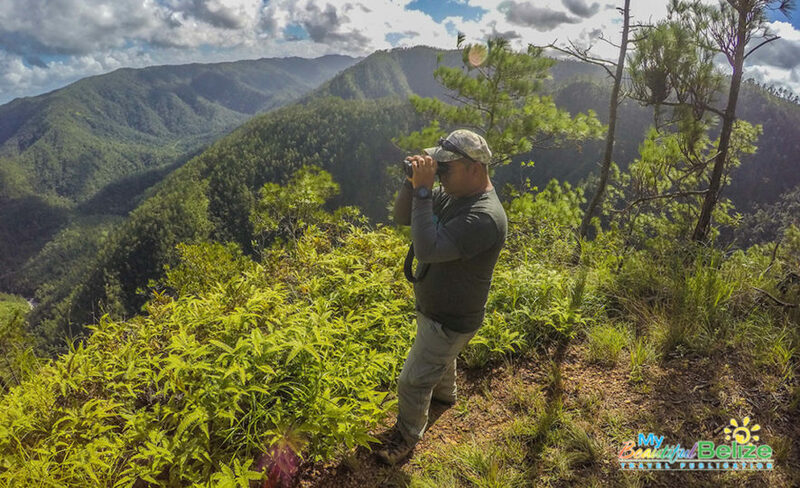 Roni reflects there have been many challenges and rewards, but perhaps the best reward is inspiring young Belizeans to understand why they need to act now to protect some of their own birds. “When I see them really grasp the idea and start working towards it by spreading the word… to me, that is priceless,” he says. Roni with his son Aleem, who is eager to follow in daddy’s footsteps. Does he feel he is making a difference when it comes to rising conservation and preservation awareness we ask? “Yes. Because I can teach people how they can make money in their backyard while living in perfect harmony with nature. It would be great to get more women in Belize involved in Birds and Birding as it can be an amazing career. The beauty in Birding is that it’s not extractive, so it’s not depleted, you can make money forever from this, but because you need the habitat for this to continue, you also must advocate for habitat preservation,” he responds. 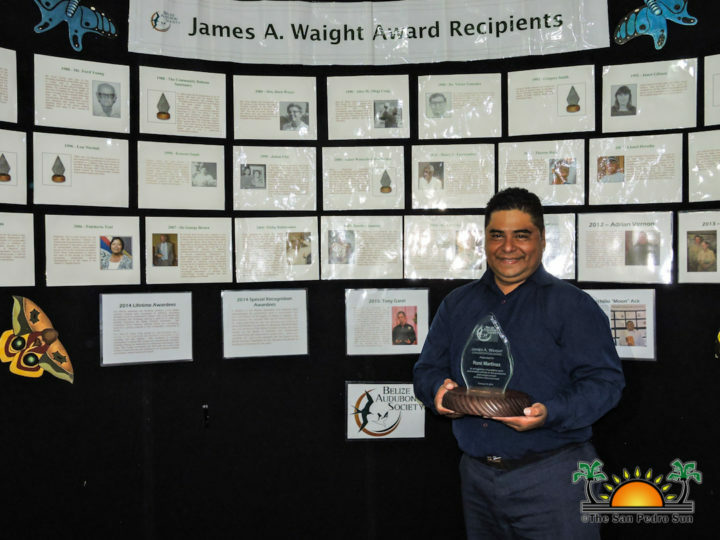 On February 16, 2018, the Belize Audubon Society awarded Roni with the prestigious James A. Waight Conservation Award. Considered the greatest conservation honor in the country, Roni says that the recognition just makes him want to work even harder. “I have really big shoes to fill now,” he excitedly commented after receiving the award. When Roni isn’t wearing one of his many feathered-capped jobs in the Belize Birding industry he lives in the tranquil village of San Antonio at the foothills of the Maya Mountains with his lovely wife Stephanie and their son Aleem. 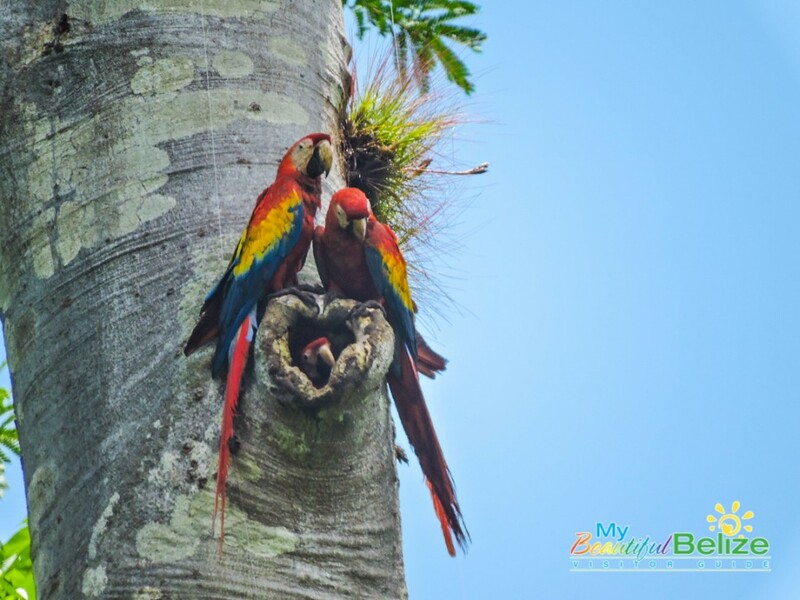 To learn more about the Belize Bird Conservancy and how to contact Roni please visit www.belizebirdconservancy.org.